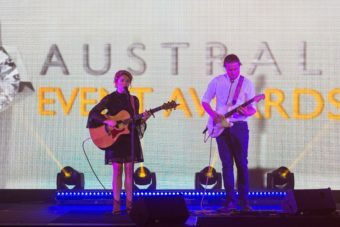 The Australian Event Awards ceremony was not only a night for the Finalists and Winners to shine, but also for a range of performers from the Sunshine Coast and beyond to put on a show for the events industry. 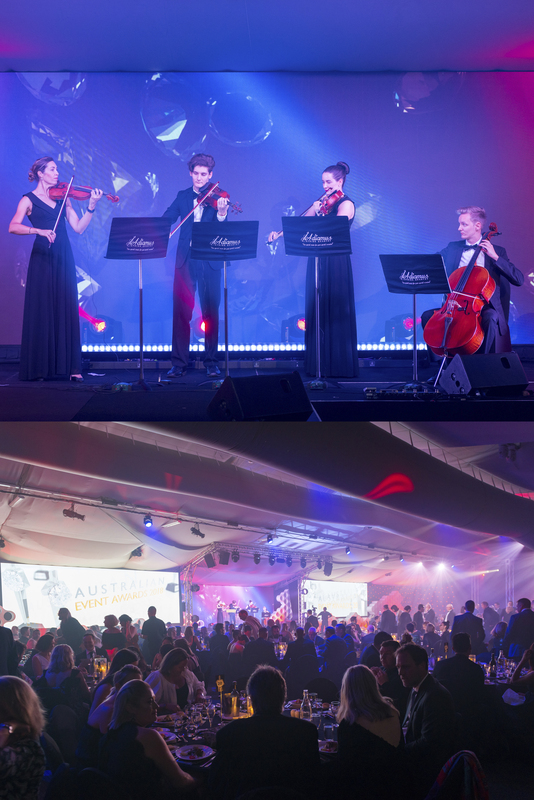 Adiamus String Quartet radiated glamour on stage from the moment doors opened, enchanting attendees upon their arrival to the Wandiny room. 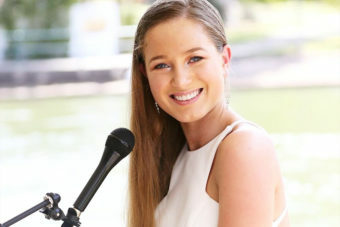 Noosa Hinterland up-and-comer Emma Bridget Tomlinson opened the show’s proceedings with Fergie’s “A Little Party Never Killed Nobody”, setting the tone for a night of celebration. 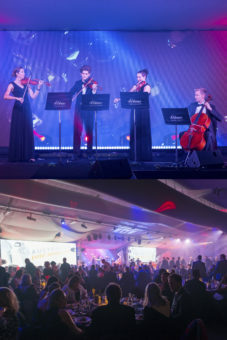 Singer-songwriter Clare Hennessy shared beautiful tunes over dinner, and local vocalists The Kitty Kats closed the evening, getting attendees up on their feet with their powerhouse musicality and cheeky charm. 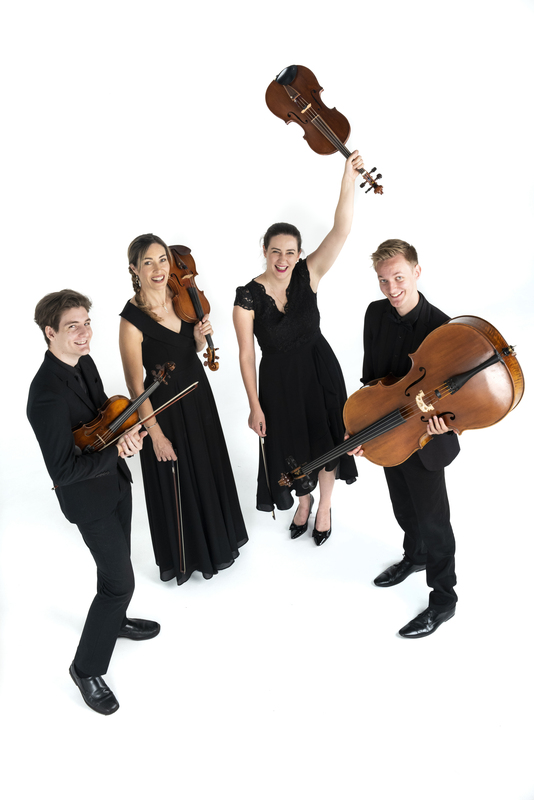 Get to know each of the artists through their listing below – maybe they’ll bring some spark to your next event. I am a diverse Vocalist, Songwriter, Pianist – Opera/Jazz/Musical Theatre/Indie Pop/DJ – and Model from the Noosa Hinterland. Available for weddings, functions & corporate events, I am happy to perform covers or originals solo with my keyboard. I also perform with DJ Mixer & other accompanying musicians. 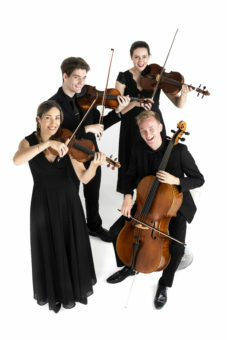 I am studying a Bachelor of Creative Industries in Music & Drama at University of Sunshine Coast and performing at major events around the coast including Noosa Alive Festival. Currently producing my own concert ‘OPERA FUNK’ and am in the process of recording my first EP. You can catch my originals on JJJUnearthed. I have Aspergers & music is my salvation. I was featured on the cover of ‘Noosa Life Mag’ and my artwork on the front cover of ‘IN NOOSA MAG’ in Sept 2018. My profile and art is being used by Qld Autism with the goal to increase awareness and acceptance of difference and women on the spectrum. You can now catch me on weekends at “View Restaurant”, Peppers Noosa. 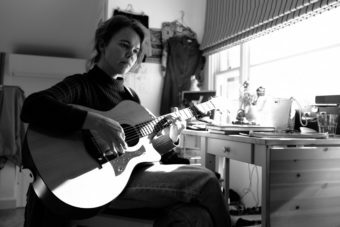 Clare Hennessy is a singer and songwriter from Sydney. 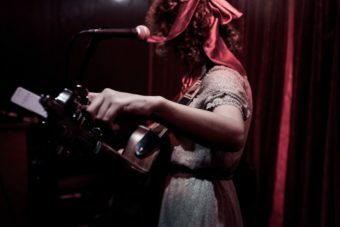 On the back of the release of her debut EP “April”, Clare combines evocative lyrics and heartfelt vocals to create a distinctly Australian take on gothic folk. Supported by the lush electric guitar of Sydney guitarist Ben McCrum, she is delighted to be a part of the Australian Event Awards. 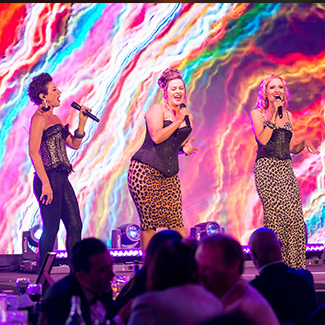 Three of the Sunshine Coast’s most loved performers have united to form the all-female powerhouse trio, The Kitty Kats. Vocalists Michelle Brown, Susanne Campbell and Renae Suttie bring their show-stopping 3 part harmonies to the stage, in a spectacular floorshow that is musically superb and visually enchanting. With a sassy mix of cabaret, swing, blues, and rockabilly, The Kitty Kats will have you dancing, crying, singing, laughing out loud, and “loving the skin you’re in”. The Kitty Kats have performed countless sell-out shows in Brisbane, the Sunshine Coast, Gold Coast, Hervey Bay, Bundaberg and beyond, and can perform in various line-ups from a vocal trio with backing tracks, to an 8 piece big band – whatever your event needs.